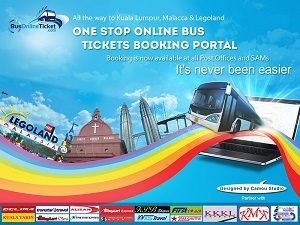 ExpressBusMalaysia.com is formed with the purpose to provide information about Malaysia express bus, bus schedule, bus fare and respective states’ bus terminals to commuters, travellers and backpackers. 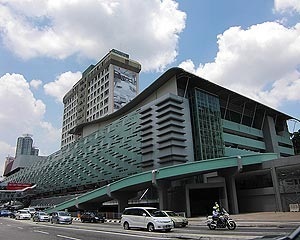 Before any other information, ExpressBusMalaysia.com would like to first introduce the main bus terminal in Kuala Lumpur, namely TBS (Terminal Bersepadu Selatan). Other than Pudu Raya (or Pudu Sentral) and TBS, there are another 2 bus stations, Hentian Pekeliling and Putra Bus Terminal, which are mainly to serve the eastern coastal travellers. There are more than 100 Malaysia express bus companies providing express bus services. One of the most famous bus company is the state-run bus company Transnasional who provides the most extensive coverage of bus route services in Malaysia. Other major players like KKKL, Konsortium Express, Alisan Golden Coach Express, Unititi Express, Causeway Link, Sri Maju and Grassland provide the express bus service with a more comfortable seat, more spacious leg space, and higher frequency of services to compete with Transnasional. Check the list of express bus services in Malaysia on our website. 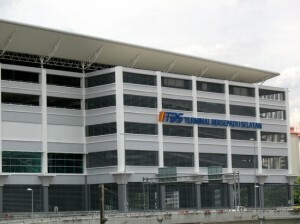 TBS with full name of Terminal Bersepadu Selatan, is a newly built bus terminal located at Bandar Tasik Selatan. 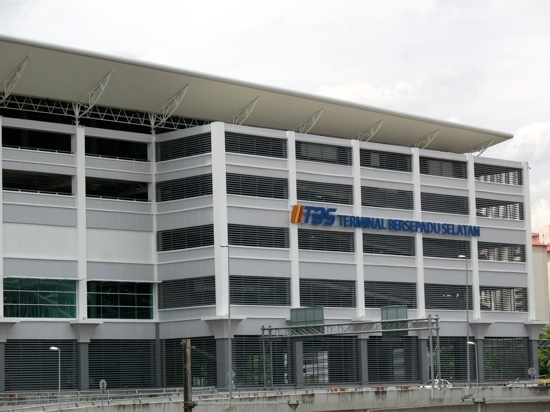 TBS was officially opened in January 2011, and it was built to relieve the commuters loading from Pudu Sentral and is mainly to serve for southern bound buses. Therefore, travellers going to southern part of Malaysia or Singapore such as Kuala Lumpur to Singapore and Kuala Lumpur to Melaka, are encouraged to go to Terminal Bersepadu Station (TBS) for boarding. Recently, with the closure of Pudu Sentral, all northbound Malaysia express bus services also depart from TBS. These include Kuala Lumpur to Cameron Highlands, Kuala Lumpur to Penang etc. Almost all Malaysia express bus provides services from TBS to most of the cities and towns in Malaysia. There are a number of operators running from TBS. Few of the more prominent companies operating in TBS includes Konsortium Express, KKKL, Mayang Sari, City Holidays, Transnasional, SnS International, serving both northbound and southbound bus services. Perdana Express, Kesatuan Express are companies serving bus to Kuantan, Terengganu and Kota Bharu. Remarks: Relocation express bus services from Pudu Sentral to Terminal Bersepadu Selatan (TBS) effective from 1st Nov 2015. For travellers going to KLIA and LCCT, you may board the bus at Pudu Raya (or Pudu Sentral), because Star Shuttle bus who serves between the airport and Kuala Lumpur still operates in Pudu Raya (or Pudu Sentral). The other bus stations such as Hentian Pekeliling and Putra Bus Terminal are meant for the bus trips going to the eastern part of Malaysia such as KL to Kuala Terengganu (gateway to Pulau Redang), Pahang, Kelantan, etc. If you are staying at Bukit Bintang area, you may opt to take the bus service for Kuala Lumpur to Singapore at Berjaya Times Square, provided by Grassland Express and Fivestar. For those who stay in Chinatown area, you may opt to take the bus service for Kuala Lumpur to Singapore at 5th Element Hotel Chinatown, provided by KKKL Express. For those who wish to board at Damansara, first coach One Utama boarding point is the best choice Express. For further information on other bus stations and terminals, the bus schedule, bus fare, coach timing and any other Malaysia express bus information, please explore more on this website.